October 8, 2018, New York City –– DE-CIX, 1025Connect, Aqua Comms, Epsilon and PacketFabric presented on the evolution of interconnection and edge solutions at the DE-CIX North America 2018 Media and Analyst Day held in New York City on September 27, 2018. Interconnection at the edge is evolving to enable greater access to a multitude of solutions including access to private lines, internet, transit and direct access to the cloud. With aggregated convergence points at facilities such as 1025Connect on Long Island, companies gain access to subsea cables including Aqua Comms’ new-era AEC-1 transatlantic cable, which bypasses Manhattan, while gaining access to dynamic Accessible from both Europe and North America is Epsilon’s Infiny SDN platform, a dynamic on-demand solution to order, activate and manage local, regional and global connectivity, cloud interconnects and other communication services. Layered with PacketFabric’s automated connectivity platform, now companies can design custom network solutions, dynamically provision and manage access to private connections, the cloud, internet and more to enable any enterprise – large or small. 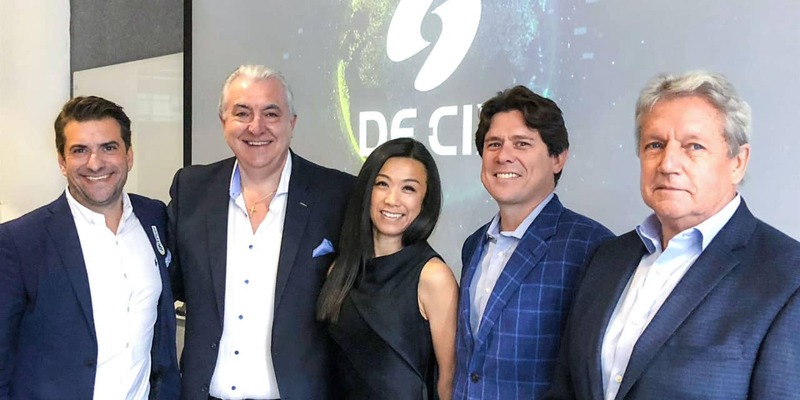 DE-CIX New York, now the leading Internet Exchange on the East Coast, serves as a key interconnection aggregation point for European and North American companies alike, with the ability to reach over 1,100 unique ASN’s directly from within 1025Connect’s long Island colocation facility. With partners such as Aqua Comms, Epsilon and PacketFabric, bilateral access to and from DE-CIX’s leading global internet exchange is now easier than ever before.